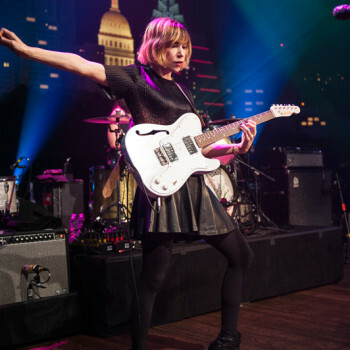 Austin City Limits presents two of indie-rock’s finest in a must-see installment featuring Sleater-Kinney splitting the episode with Heartless Bastards. 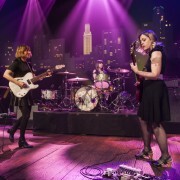 Legendary punk group Sleater-Kinney make their inaugural appearance on the ACL stage armed with songs from their first new album in a decade, No Cities To Love. The surprise release landed on top of many 2015 year-end best lists including the New York Times’ Jon Pareles, who raved “Reunited for its first album in 10 years, Sleater-Kinney returns as joyfully rigorous as ever, sinewy and ready to grapple.” Consisting of guitarists/vocalists Corin Tucker and Carrie Brownstein (also the co-creator/star of IFC’s Portlandia), and drummer Janet Weiss, the powerhouse trio came crashing out of the Pacific Northwest in the mid-90s, setting a new bar for punk’s political awareness and emotional impact. 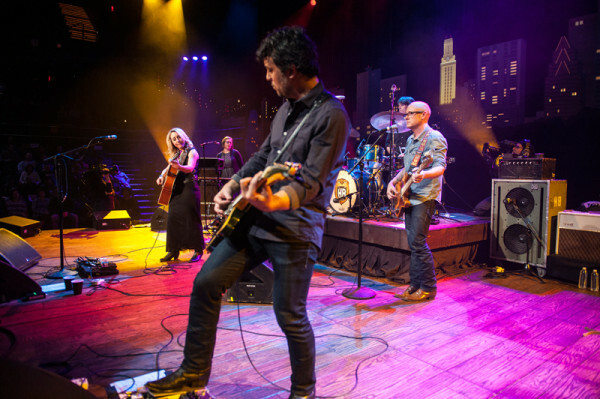 The seminal band perform a searing, musically thrilling, career-wide seven-song set with ferocious new material alongside classic anthems including “Dig Me Out,” the title track from their 1997 breakthrough, and songs from 2005’s The Woods. 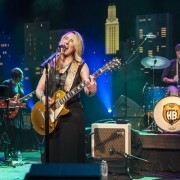 Austin-based Heartless Bastards, fronted by dynamic vocalist Erika Wennerstrom, return for their second ACL appearance since their Season 35 debut, focusing on their acclaimed new release Restless Ones. Heartless Bastards have spent the past decade in motion, bolding pushing their unique brand of rock ‘n’ roll into new shapes over four albums and nearly non-stop touring. Rich with purpose, passion, seasoned songwriting and commanding musicianship, Restless Ones, their fifth studio album, captures the idiosyncratic band exploring their craft and soul in an effort to reach a place that’s both real and transcendent. With a voice NPR describes as “warm yet gritty, throaty yet sweet, gigantic yet intimate,” singer-songwriter-guitarist Wennerstrom opens the set with the effervescent country rocker “Hi-Line.” As she switches from acoustic to electric guitar for the garage rock gem “Black Cloud,” the rockers hit their stride, juxtaposing dark subject matter with up-tempo style. The band reach back to 2012’s Arrow for “Parted Ways,” closing out the sublime set on a pitch perfect note. Tune in this weekend for this episode, and, as always, check your local PBS listings for the broadcast time in your area. Go to the episode page for more info, and don’t forget to click over to our Facebook, Twitter and newsletter pages for more ACL info. Tune in next week for another encore episode, featuring indie rockers Father John Misty and The Black Angels.